I almost cried visiting a booth at a music convention today. You know the drill at these vendor events: walk on the opposite side of the walkway, and don't make eye contact unless you want to be sucked in. Having been a vendor many times, I understand the desperation to sell a product after hours of monotony, so imagine my surprise when I was pulled into this booth and was almost crying a couple sentences into her spiel. 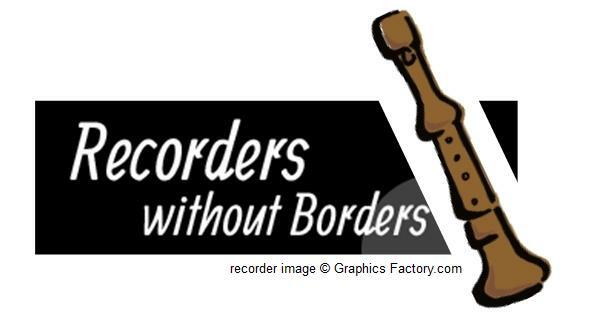 The lovely lady I met represents "Recorders without Borders," a non-profit, Texas-based organization. The organization collects recorders* from American students and sends them to kids in developing countries. They sponsor U.S. music teachers to travel to a partner school (they have 6 partner schools in Kenya and have visited schools in Central America, as well). These sponsored teachers deliver the recorders to the village and then teach the students and local teachers how to play. When the teachers come back to the U.S., they bring testimonies of how the trip went. These testimonies and pictures are distributed through email to the students who donated recorders in an annual report. Isn't "Amazing Grace" on recorder so pure and inspiring? Praise him for his acts of power; praise him for his surpassing greatness. *If you don't know what a recorder is, it's the predecessor to the flute. It sounds similar to the flute but is easier to play (see the picture on the top left). The recorders I use are almost indestructible, so it's the perfect instrument for this cause. Click below for the link to my favorite recorders. **Of course, I suggest you do your own research before donating to an organization. I am only speaking of what I believe to be true. 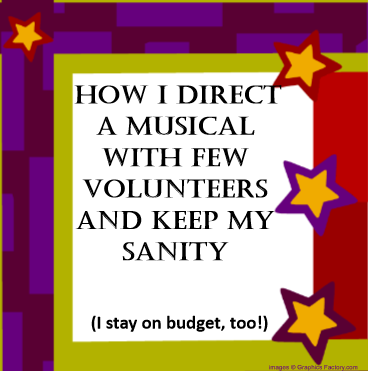 Like many of you, I don’t have many volunteers to help with a musical. I used to create elaborate sets and costumes, almost always by myself or with my mom, and often, I ended up spending my own money. I realized I was working so hard that I couldn’t enjoy the programs, and I had to disappear from my family and friends for a couple months before each musical in order to get everything done. The following is what I do now to make the kids the stars of the show while also being happy myself. It is not a compromise to do it simpler; I genuinely thing it is a better option to think simply. Costumes: Students wear a common color shirt or outfit from home. I paint their faces (buy face paint! It makes every kid feel special!). I provide hats, animal ears, and other accessories. For example, every kid has a black shirt, and it looks really sharp on stage. At Christmas, I have elves wear red, green, or blue shirts and nice pants, jeans, or a skirt/dress that hits the knees or longer. Reindeer wear brown or black. I splurged on a Santa suit one year and bought a bunch of dollar store white beards that can be changed out every year. Mrs. Claus can wear a dress from home or you can shop Goodwill for red dresses. Through the years I have bought one or two nice bulk costume items. This year, I bought cheetah ears and dog hats from Oriental Trading. I’ve also bought bulk antlers and elf hats. With those four purchases and homemade costumes from pompom balls, hot glue, head bands, poster board and pipe cleaners, my kids look professional on stage. You can see the kids instead of just the costumes, which most parents prefer anyway! Set: For years, I painted sets using leftover smartboard boxes, butcher paper, or donated items. It took forever, but since the stage was the main focal point, I felt like I had to do it. One year, I decided to put the risers all on the stage (I have 80-100 kids per musical). Suddenly, THEY were the feature on stage. Now, I buy backdrops from Oriental Trading for every theme. Look it up! They’re inexpensive and save hours. I then buy or make some items that hang from the curtains at different levels. I make a “color story” to help it work together. My two coworkers and I can have the whole set decorated in less than two hours. We use binder clips and fishing line to hang everything. I just did an “American Idol” type show, and with a gold backdrop, two gold chandeliers and two columns from Oriental Trading (I do my best shopping there, obviously! ), a sign I made, and gold tinsel and lights. My show looked glamorous and was so easy to put together! Hope this helps you enjoy life during the holidays! "Can we hear it again?" Those are the enchanting words every music teacher longs to hear their students ask. This week, I had the joy of hearing that question in EVERY fourth grade class after listening to "We All Need Peace" by Karl Hitzemann (see link below). When I heard that question, I knew I was going to have success this week. Let me back up a little bit. As I said in my last blog, last week was tough. It was tough enough that I sat back and reconsidered my whole teaching strategy and came to the conclusion that my kids were losing their inspiration in music, that they weren't just inspired by games and learning...they needed the actual music. The kids loved it Monday and Tuesday. Before I played it, I talked about how music is meant to inspire others, comparing this piece to the inspiration I knew my kids had felt after performing the "Star-Spangled Banner" earlier in the year. The calm yet driving piano beat hooked them immediately, and the crescendo to the chorus is truly touching. 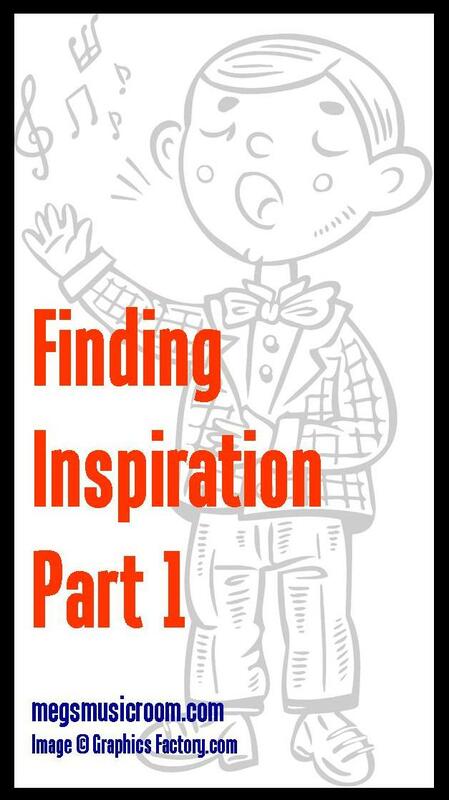 If you are having a problem inspiring your students, look this up; it might do the trick for you. Then, Tuesday night I had a dream. In the dream, I was visiting another school and saw a group of kids perform in such an inspiring way that, when I woke up, I couldn't stop thinking about it. I truly believe God gave me this idea. I can't tell you what it is right now, because teachers at my school might read this, and the kids want to keep it a secret. Just trust me...when I told my 4th graders about it, their eyes lit up, and when I played the song for them, a few of them were genuinely moved to tears (YES!). After the performance, I'll let you know what we did and if it was as effective as we hope it will be. I'll just say that between the great song and the dream I shared with them, they are inspired, at least for the moment. Now for the recorder part of my lesson. You know that first day you hand out recorders, and you wish you had remembered your noise cancelling headphones? That was me this week. But honestly, I enjoy that first time giving them their recorders and letting them play without rules for a minute (I warn the nearby teachers what is happening ahead of time!). I give them time to blow their instrument as hard as they want. Then we have fun seeing if we can play our instruments without our lips touching the mouthpiece. I let them experiment with the different ways to play it, so they don't get in trouble for playing at the wrong time once instruction starts. Then I teach them "chin position," putting the mouthpiece hole on the chin to prevent accidental playing. My theory that I'm trying out this year is this: If I start recorder on G (T123 all left hand), and E (T12345) they will have their hands in the right spot all year. Their left hand will stay on top closer to the mouth, and their right hand will have a place to go besides at the bell, eliminating the bad habit of right hand jumping between the bell and the tone holes. This week was my first time to try out my theory. Everyone put a sticker on their left hand for reference before we started playing rhythms using G. With my first two classes, I had them read a rhythm on the board and then play it. With my last two classes, we had less time, so I played a 4- or 8-beat phrase and they echoed. I think for the first day of recorders in the future, I'll just echo play because it spurred their enthusiasm more than reading the rhythms. There will be plenty of time for that later. Plan for next week: After a week of successful lessons, I plan on doing a similar lesson next week with them. We are going to start getting the "Peace" song performance-ready a little bit at a time, starting with the chorus. We're going to echo-play some more on recorders and start reading some rhythms. If it's going well, I'll get some students to improvise patterns for the class to play (good for reaching the "Creating" level on Bloom's). They won't last long echo-playing on recorder, so I found a free piece with accompaniment called "G's a Crowd" (see link below) that my kids in the past have enjoyed. It gets them playing "real music" quickly. After this week, I'll see if they are keeping left hand on top and playing G pretty easily. 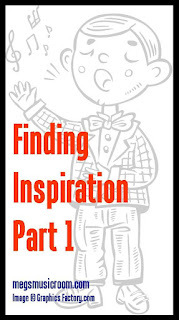 If they are, I'll add B and A.
I hope you find inspiration in all this. I hear teachers talking about how they don't feel like they are inspiring their students the way their favorite teachers had done. Here's my message to teachers who may be feeling that way: Be nice to yourself. Do your best every day knowing that as long as you keep trying, you'll keep getting better. You do way more good than you think. Show them God's love every day; that's the most important thing. Are your fourth graders already teenagers, or is it just me? They're the oldest kids at my school, and it's their first taste of senioritis. The problem is...it's OCTOBER...and they're TEN. I love them. I've known them since they were five. This week, they ate my lunch. My sweet friends reminded me I am a good teacher and that I am showing them God's love even when it's difficult...especially when it's difficult. I realized some of the problem might be that my focus has changed. When I started teaching *eleven years ago,* I felt like I didn't know what I was doing, but I had so much passion. Now that I feel more confident, I have been trying to concentrate on improving my data taking and making sure they really know everything that they're supposed to know. That isn't wrong, but maybe the focus is wrong. 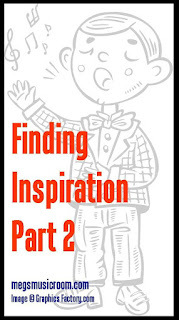 So I reexamined my purpose: to inspire them and take care of them. I realized my lessons for next week were more about data and making sure they knew how to read rhythm, but maybe the plans lacked the inspiration my kids need. I thought about what inspires them. Music inspires them - singing songs and playing instruments - not reading rhythms, even with an awesome game. I can teach them rhythms as we go along; they've got the basics. What they need is a reason to come and enjoy music. With that in mind, I began rewriting my lessons. 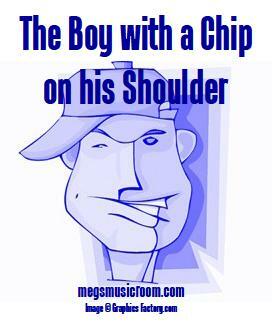 First, I looked for a song that would be relevant to them and to the situation that we are in right now. I found this song: https://www.musick8.com/html/current_tune.php?numbering=131&songorder=14 "We All Need Peace" by Karl Hitzemann out of the Music K-8 Magazine Vol. 27 No. 1. I haven't shown it to them yet, but I'm hoping I can inspire them to think beyond their difficult situations and early teenager tendencies. I'll let you know what they think about it.
. They LOVE it. Every time they can perform a piece from the collection, they earn that belt. The competitive sports kids love it and participate when some of them wouldn't bother if not for the pride of earning those belts. I'll be doing Recorder Karate again this year, but before I start, I want to try something new. Here is my thought: When starting recorder, you know how all the right handed kids (almost everyone!) want to put their right hand on top? Some argue, some forget twenty times in a class even when I mark their hand with a cute sticker, and some never get it completely. When I first started teaching, it didn't seem like a big problem, but the last few years, it has turned into a real issue. Last year, I had students playing at the concert with their right hand on top after practicing for months! I have a theory that might change that. Start with the foundation of "G" (thumb [T], 123 on left hand). Don't play B or A for a while. Add an E when the G gets easier. Yes, it will squeak terribly for a while. But doesn't it squeak some anyway? 1. 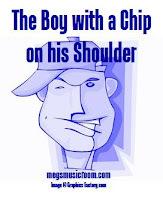 Start class with the inspirational new song. Build it up. Let them know this could inspire their families and the community. 2. Hand out recorders like I do every year and play G and E instead of BAG. I'm using rhythm flashcards that I made, and we'll be reading rhythms while we squeak away blissfully (I hope). We will not play a single B or A. It might be a struggle, but if a week or two of struggle creates a year of not saying, "Switch hands," or "Left hand on top," won't it be worth it? I love my kids and want to inspire them. Of course, I am a teacher and will do my job to teach them what they need. But they need more than that. As the song says, "We all need love...hope... [and] peace." I intend to do my part to help my kids feel that love, hope and peace.